Call us at (619) 464-2076 today. Welcome to the team at Lake Murray Optometric Center, where we can take care of all of your optometry needs. If you are in need of an eye doctor who can provide you with a thorough examination and take care of any of your vision needs, then you can trust us. Since 1979, we have been providing eye glasses and contacts – as well as a variety of other eye care needs – to patients in the greater San Diego and La Mesa areas. Call us for your next eye exam! 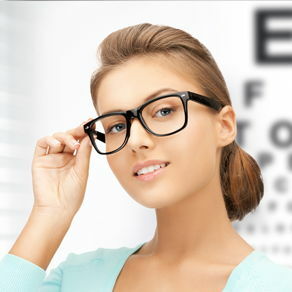 At Lake Murray Optometric Center, we use some of the latest technological advancements in the industry which enables us to provide you with the best eye care possible. Our on-site optometrist can take a look at your eyes and offer you an eye care plan that best suits your needs. At Lake Murray Optometric Center, our focus is on the needs of all our patients. We cater to adults, but also offer pediatric optometry services as well. 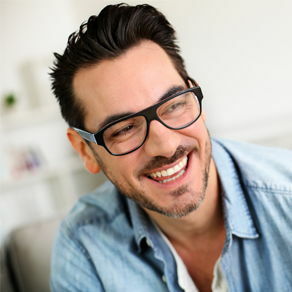 Simply put, we have the ability to fit any wearer of glasses or contacts with exactly what they need. If you need your eyes checked, then call us today.  We know how to serve your vision needs with the utmost professionalism, leaving you fully satisfied. Both Dr. Robert M. Gonzalez and Dr. David Ardakani have the reputations and experience to get you the results that you want. Call us today at (619) 464-2076. Dr. Gonzalez graduated from San Diego State University in 2004 with a Bachelor of Science in Biology. After graduation he spent two years doing genetic research at the University of San Francisco, although he eventually began to grow weary of laboratory work. Seeking to build on his affinity toward science in the direction of helping others, he enrolled in The Illinois College of Optometry, and obtained his doctorate in 2011. Dr. Gonzalez has since dedicated himself to the highest standard of eye care. Having completed externships throughout the country, he has developed an interest in ocular disease management including: Dry Eye, Glaucoma and Macular Degeneration. In 2009 he donated his time to Volunteer Optometric Services to Humanity (VOSH) conducting hundreds of eye exams and delivering glasses at no charge in Peru. Shortly thereafter, he was introduced to Dr. Jeffrey Hall, and a friendship based on their mutual passion for humanitarian outreach. In 2013, Dr. Robert Gonzalez purchased Lake Murray Optometric from Dr. Hall and they remain great friends. Outside of work you can find Dr. Gonzalez and his wife Jessica growing organic food on their small homestead, debating whether or not to get more chickens, and taking their dogs Huxley and August on adventures! Dr. Hall attended Rutgers State University of New Jersey, graduating in 1973. He then pursued his doctorate from Pennsylvania College of Optometry, completed in 1977. Dr. Hall established the Lake Murray-San Carlos Optometric Center in January 1979, where he and his wife Fern continued building on a foundation of helping others through patient care for 34 years. During these 34 years, Dr. Hall championed a great many accomplishments. He is the proud father of three sons and five grandchildren. In 1981, Dr. Hall was a founding member of the La Mesa Sunrise Rotary Club, and as of 2019, he is the current President Elect. Dr. Hall is proud of having obtained a third-degree black belt in karate, and has passionately traveled the world, often administering aid to the underserved along the way. Dr. Hall currently practices Optometry part time, mostly volunteer work at the San Diego Lions Optometric Vision Clinic. Annually he and Fern go with a group of Ophthalmologists, Optometrists, and opticians to Central America, donating their time to those most in need of life-changing vision care. Most often, you’ll find Dr. Hall with his wife, sons, and grandchildren, or on long walks around Lake Murray with his brother and faithful dog Chico. And most often you’ll find Chico on the Hall’s rooftop where he serves as the neighborhood watchman! I've been to Lake Murray Optometric for the last couple of years for exams and contacts. Dr Gonzalez takes his time to answer my questions and ensure I've got the perfect fit. They're sincere, helpful, explain insurance information clearly and never push the sale. Esther is a joy in the office. It's a great place! Love, love, love this office!!!! Everyone is so sweet: Fern, Sarah, all the girls!!! I have been seeing Dr. Hall for years and now that Dr. G has taken over, he does not disappoint. He is very sincere, always has a smile on his face, and spends the time needed with his patients. NEVER RUSHED!!!! The entire staff has wonderful customer service, fabulous frame selection, and both Dr. Hall & Dr. Gonzalez are great. They also have very convenient hours and are open one Saturday a month!